OCR prefers to settle HIPAA compliance issues through voluntary compliance and non-punitive means, although financial penalties are now becoming more commonplace. If OCR investigators uncover HIPAA violations, financial penalties may be issued. Fines of up to $1.5 million can be issued for each violation category discovered. One of the most common reasons for a financial penalty is the failure to conduct a comprehensive, organization-wide risk assessment. The risk assessment is a foundational requirement of the HIPAA Security Rule – 45 C.F.R. §§ 164.308(a)(1)(ii)(A), and is one of four required implementation specifications in the Security Management Process. The purpose of the risk assessment is to identify all potential risks to the confidentiality, integrity, and availability of all ePHI that a covered entity creates, receives, maintains, or transmits. The risk assessment must cover all forms of ePHI, and all devices and systems that touch ePHI. As was seen with the pilot phase of the HIPAA compliance audits and subsequent PHI breach investigations, small to medium-sized covered entities often struggle with the risk assessment. To help covered entities comply with this element of the Security Rule, the Office of the National Coordinator for Health Information Technology (ONC), Office of the General Counsel (OGC), and OCR developed a security risk assessment tool. The security risk assessment tool is a self-contained operating system-independent application for Windows devices and iPads. 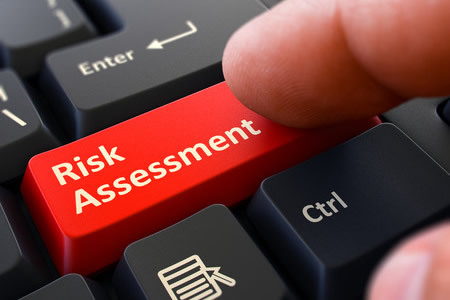 The tool can be used to ensure that a risk assessment is conducted in a thorough, organized fashion. The tool contains 156 questions covering HIPAA requirements in relation to each covered entity’s activities. It is not essential to use the tool, although it is advisable for small to medium-sized covered entities. The tool was first issued in March 2014, but is regularly updated. This week ONC/OCR has announced that the tool has been updated with new features including enhanced reporting functions. The new tool is also compatible with Windows 10. An updated paper-based version of the tool has also been made available. The tool can be downloaded free of charge from the Apple App store or from the HealthIT.gov website.